In this day and age the world is rapidly becoming interconnected, and globalization has changed our lives in many ways. 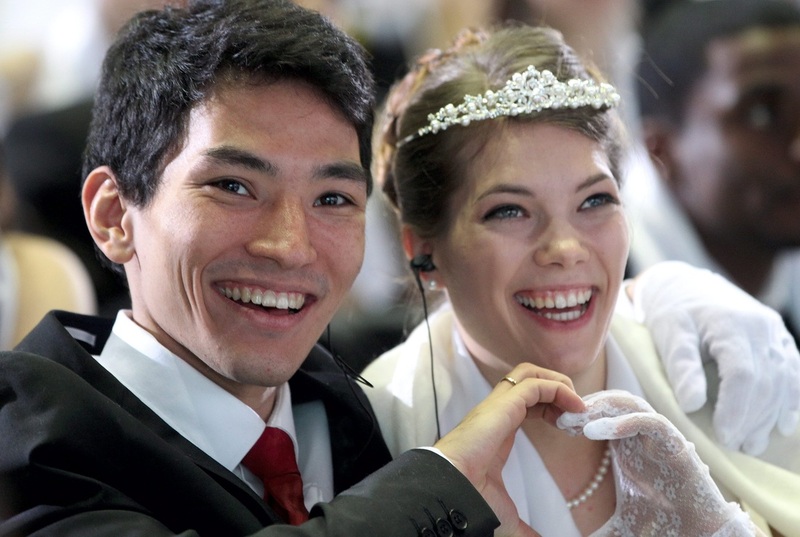 One obvious way is the increase in the number of cross-cultural marriages. No matter what culture, primitive or modern, eastern or western, metropolitan or tribal, all human cultures invariably contain at least five major characteristics. All cultures are learned. Certain cultural traits are shared by all members of that culture. Culture is both punitive and rewarding. All cultures are constantly changing. Every culture forms a basic and broad system in which input from outside is received, screened, and processed, and output is sent out as the system operates. Many multicultural couples haven’t or don't discuss the symbolism or significance of each other’s important cultural traditions. Understanding the significance of these traditions will help couples not only to understand them, but it can also help them to identify themselves. Appreciate the fact that this can help couples to have a more natural, familiar feeling toward the other's traditions, and it will help to accept and embrace the culture of the other. Married couples have vision of direction in their daily life together. In most cases, having a healthy marriage is an ultimate goad for married couples in all parts of the world. Forming a family is much easier than maintaining a healthy marriage and family. Cultural change is the most difficult issue to deal with, as it touches upon the very personality and values of people as individuals and members of society. Education is a road map, a compass and navigator that enables a person to find his or her way around this complex world and to reach his or her destination as safely and quickly as possible. Valuable education serves as a firm and unbiased bridge for people to cross from one location to another without demanding any unnecessary tolls or compromising of one’s personal values and principles. Real education brings life, help, hope, healing and restoration for individuals and families in both good and bad times. Mix-culture couples can critique each other’s cultural presuppositions without being judgmental or offensive. They can point out blind spots, drawing out the best of each culture, and form a new version. That’s how they can celebrate a richness of diversity in marriage. Furthermore, if a cross-cultural couple builds their foundation on the Rock of Jesus Christ, that house could be uprooted and re-established anywhere on the planet without the slightest hint of entering new territory. By His grace, as we strive to give up our culturally-tinted glasses and submit to His will, we can grow a marriage that transcends and supersedes any worldly barrier— racially, culturally or otherwise.